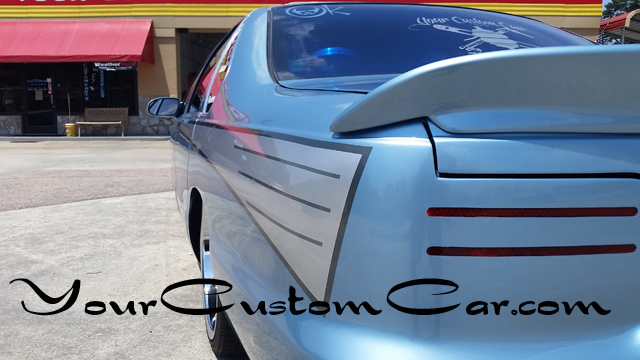 Passenger rear shot of our Impala at the the shop. 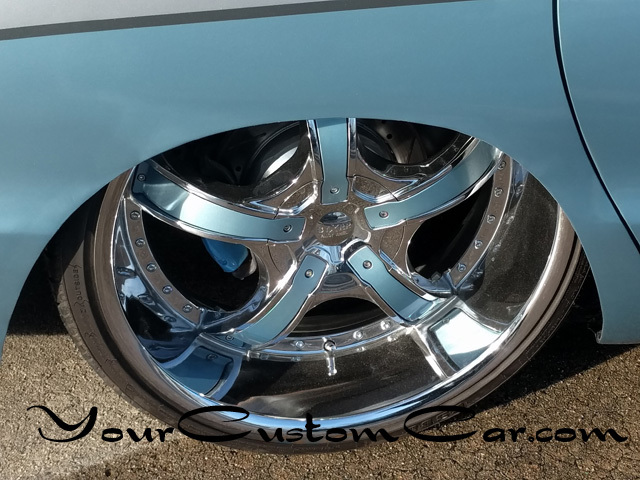 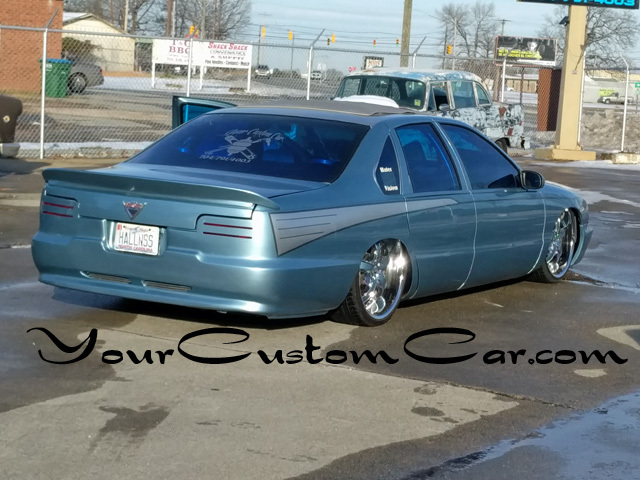 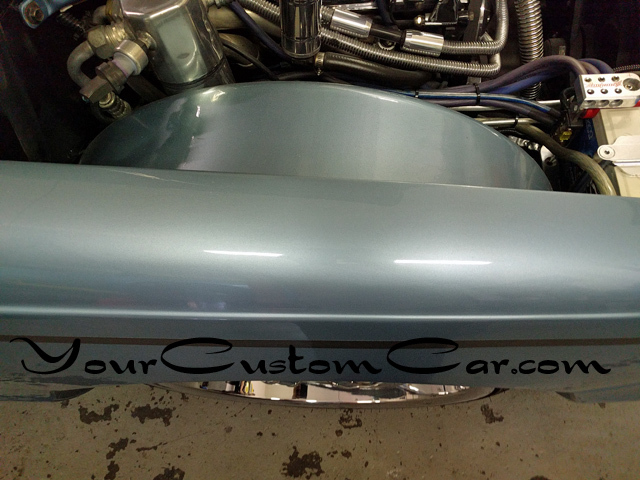 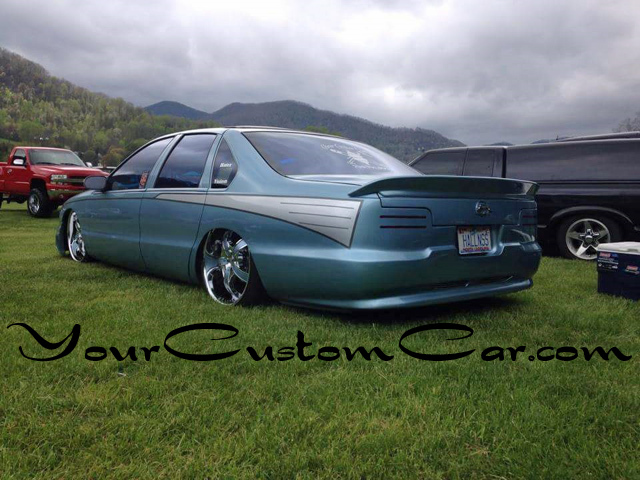 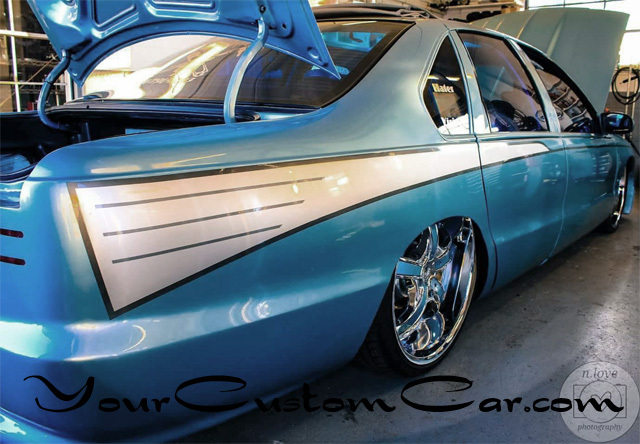 This custom Impala features a "retro" paint job similar to that of a 1957 Chevy Belair 4 door. 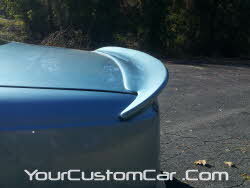 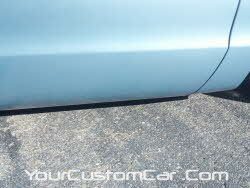 The tail light shave is completely seamless and contoured to the slight curve of the rear of the body. 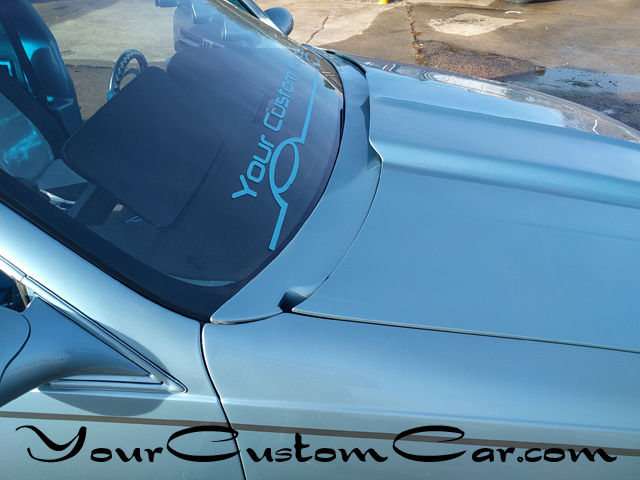 To clean up the windshield we removed the windshield wipers and shaved the wiper cowl. 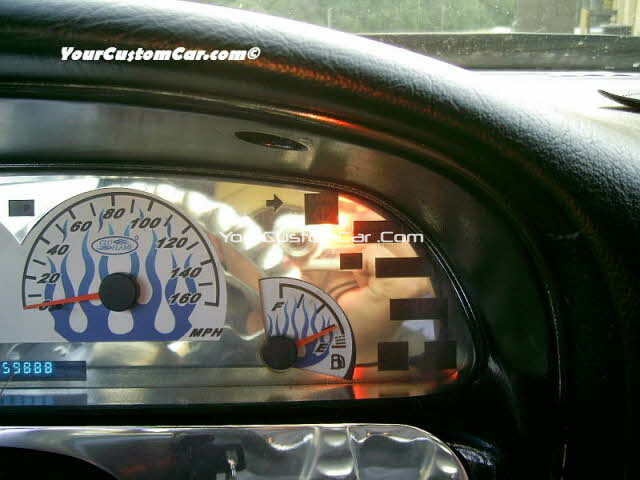 No more driving in the rain! 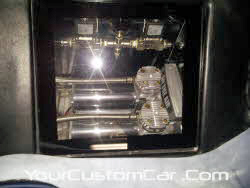 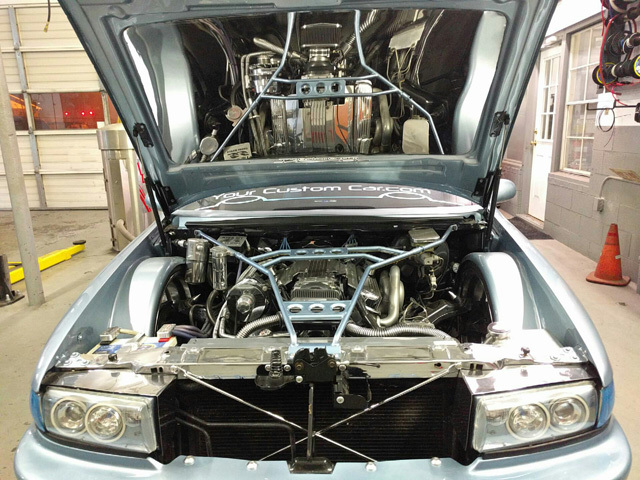 Under the hood, we cut and installed a sheet of polished stainless-steel. 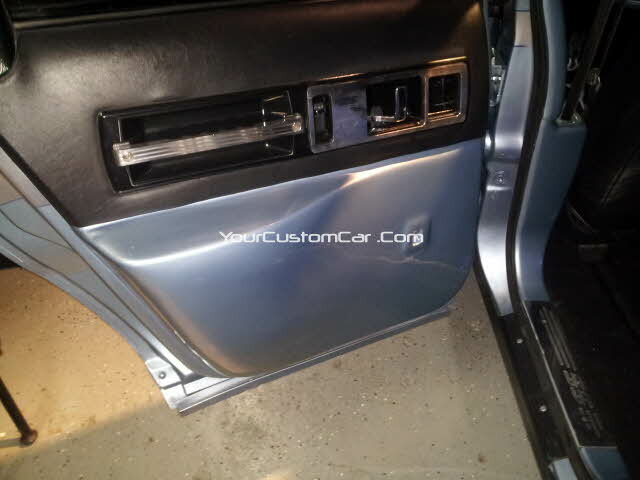 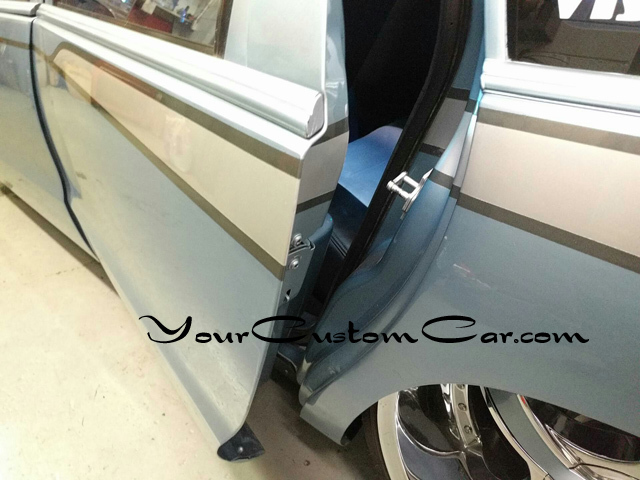 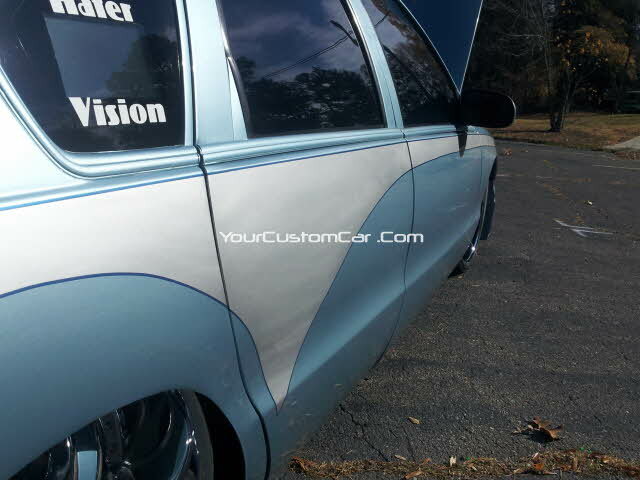 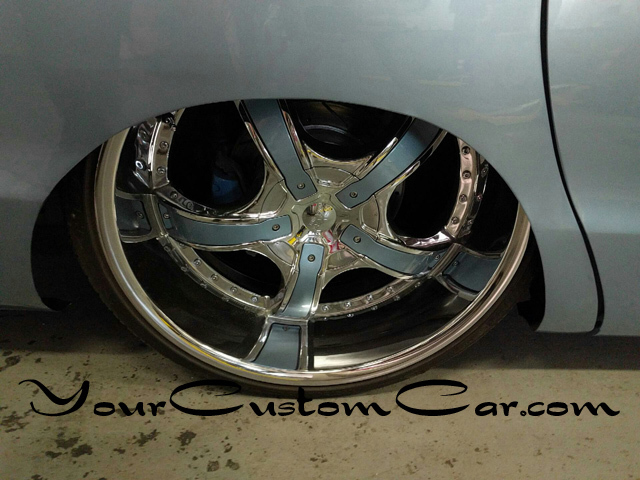 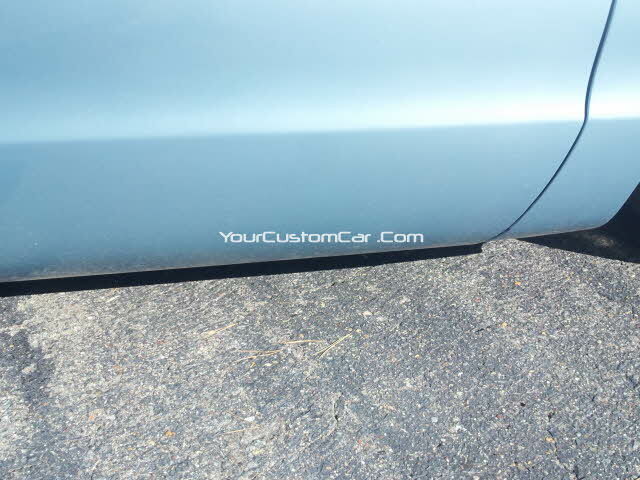 The custom paint paint flows into all four of the door jams. 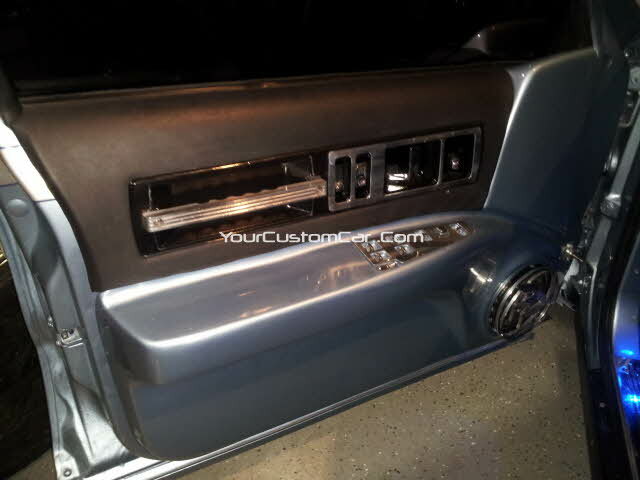 Put TVs in the rear sail windows for all the "haters" out there! 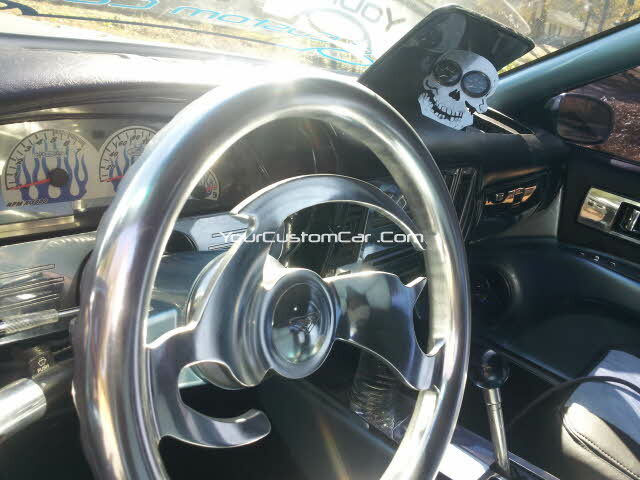 This Trenz "Leaping Impala" steering wheel is fully polished billet aluminum, the steering column is painted to match the exterior of the car, and the majority of the the drivers interior view is polished billet aluminum. 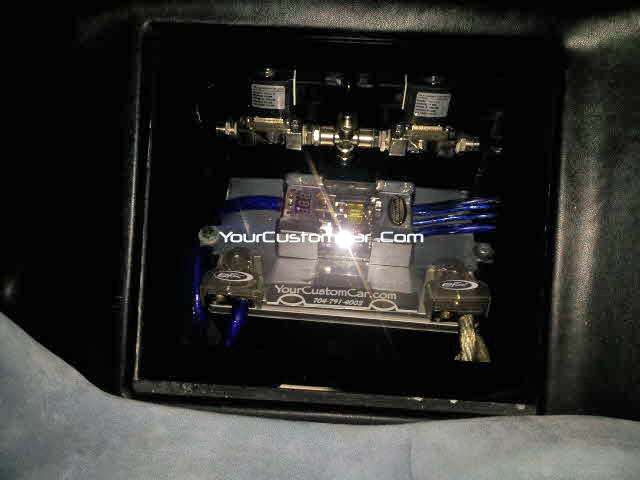 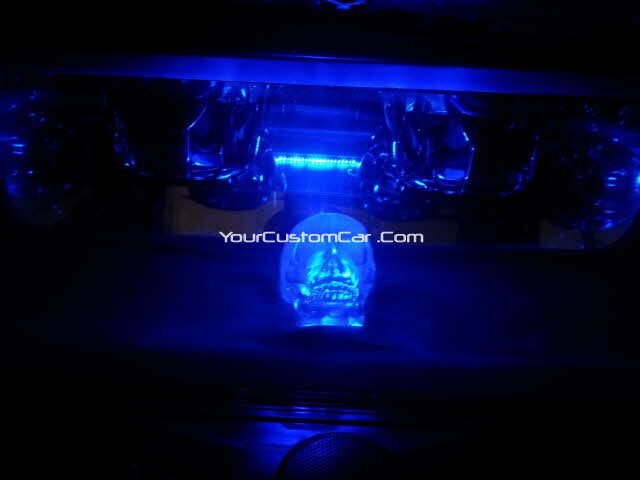 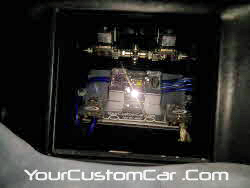 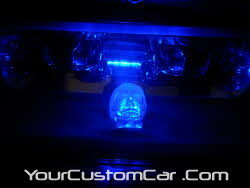 The center console in our custom Impala SS received some work too. 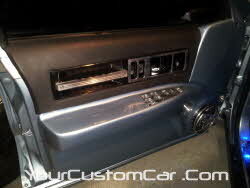 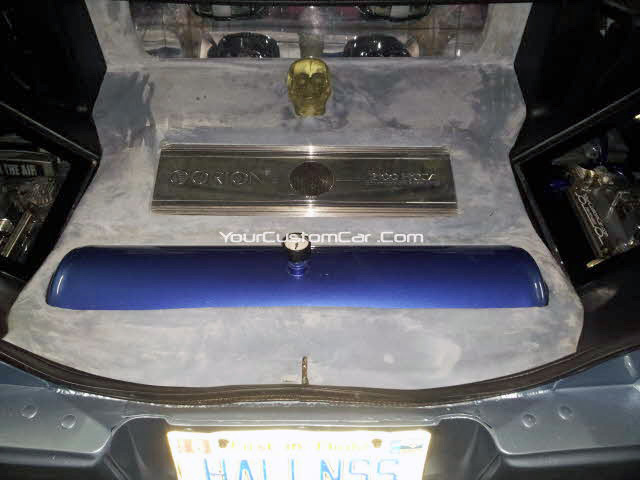 The console was stripped of all carpeting, smoothed and painted to match the exterior of the car. 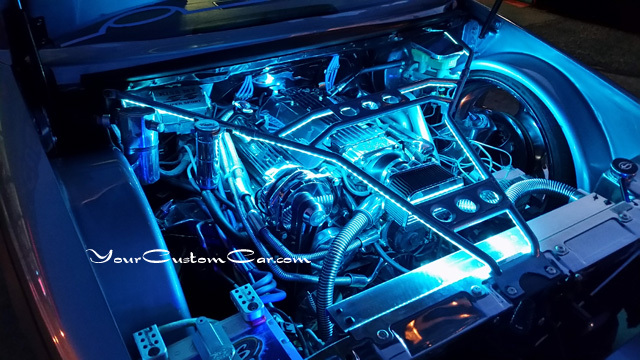 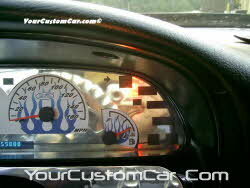 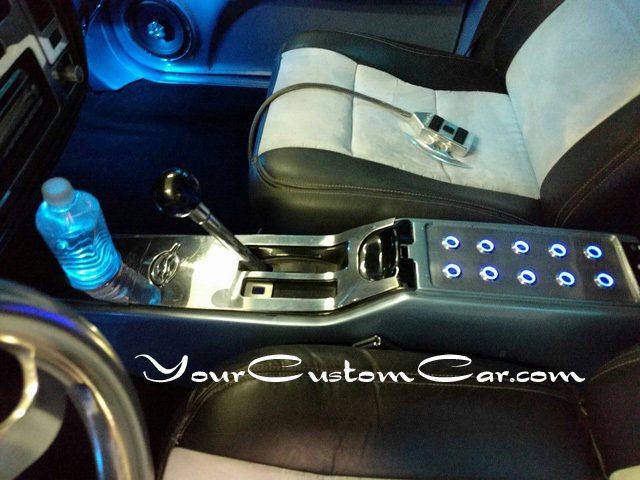 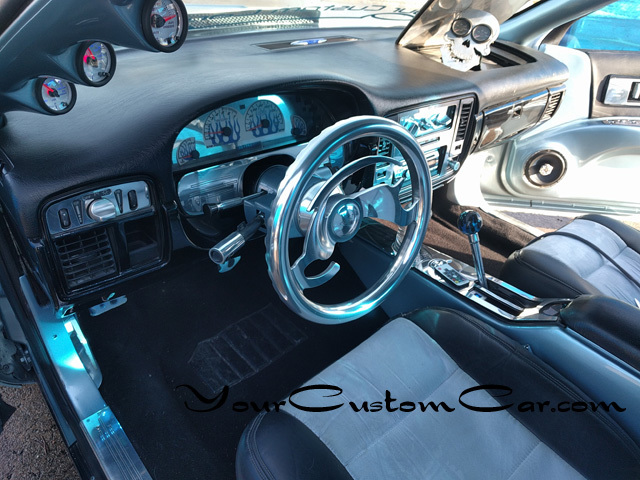 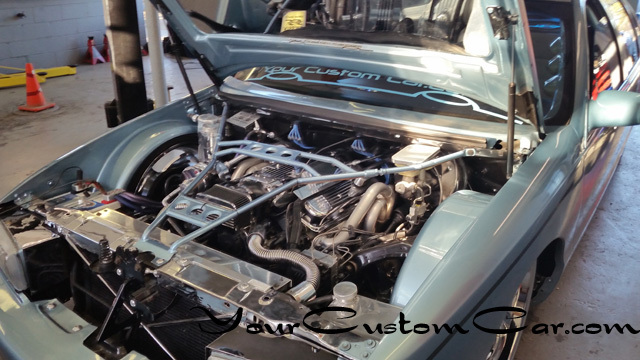 A custom automatic shift lever and "flaming ball" were fabricated especially for this car. 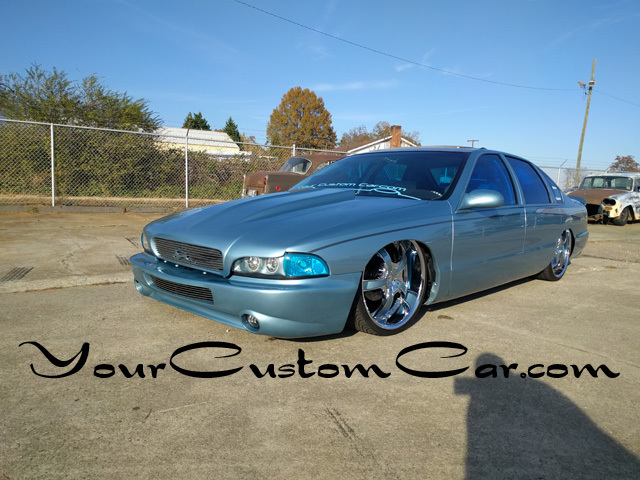 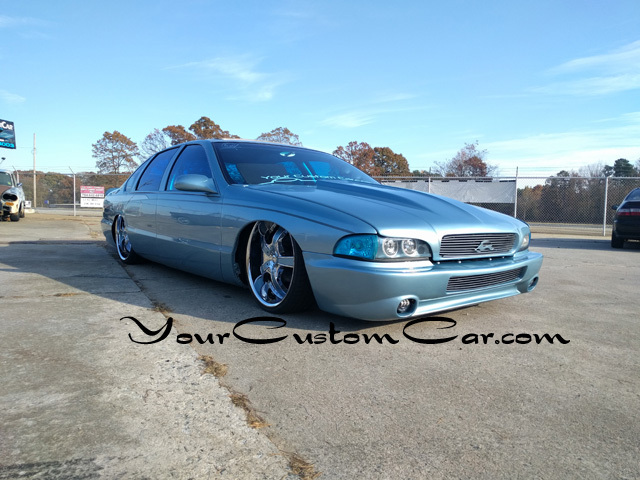 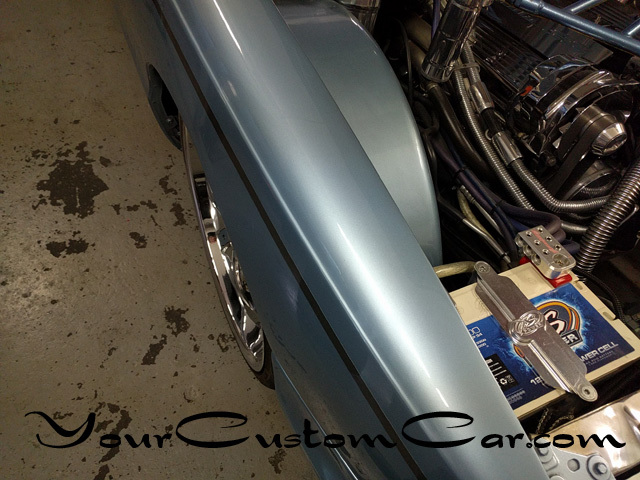 A false floor was constructed in the rear of our Impala to flush-mount the amplifier, auxiliary battery, air tank, air compressors, and air valves. 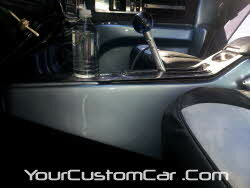 Sky blue suede was used on the center panel to tie it i with the interior of the Impala.